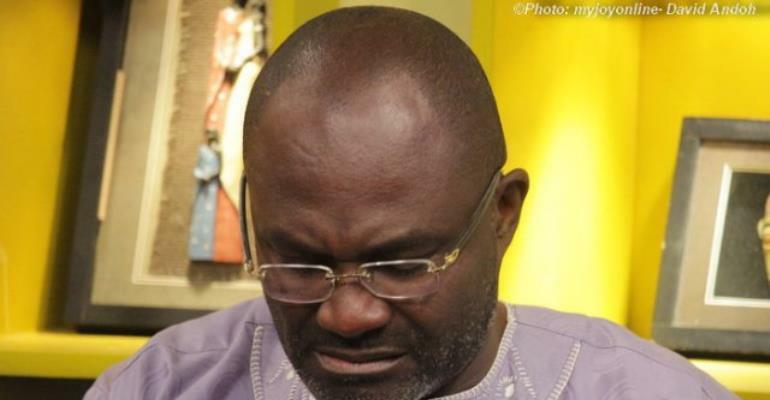 Kenney Agyapong reportedly also threatened to dismiss complainant from the Ghana Police Service. The Police Administration has requested Parliament to handover Mr Kennedy Agyapong, the New Patriotic Party (NPP) Member of Parliament for Assin Central, to assist the police with investigations into a case of assault lodged against him. The March 19, 2019 request to the Speaker of Parliament said a police officer, Detective Sergeant George Ofori, had reported an alleged assault against Mr Agyapong. “The said incident is alleged to have occurred on 14th March, 2019, during a demonstration by students of University of Education at Winneba,” the letter signed by the Director-General/Administration, Commissioner of Police (COP), Mr Ken Yeboah, said. Briefing the Daily Graphic on the details of the complaint, the Director-General in charge of Police Public Affairs, Assistant Commissioner of Police (ACP), Mr David Eklu said Detective Sergeant Ofori on March 17, 2019, reported to the Central Regional Police Command that he and other police personnel were performing their lawful duties of providing security at the forecourt of the Administration block of the University of Education, Winneba, to protect that facility against irate rampaging students. According to the complainant, Mr Agyapong and the NPP MP for Effutu, Mr Afenyo Markins, accompanied by some irate youth numbering about 500, stormed the forecourt apparently to see the Regional Police Commander. Mr Eklu said Mr Agyapong was reported to have also threatened to dismiss him (complainant) from the Ghana Police Service. He said the Regional Commander came to the aid of the Sergeant and told Mr Agyapong that he could not dismiss any police officer discharging his lawful duties.